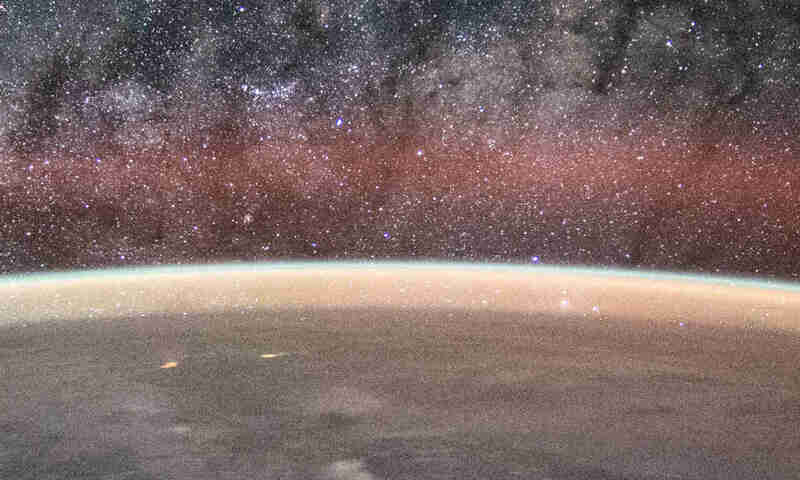 Google Maps and similar apps use satellite navigation —like the GPS— to determine the location of the device. The apps also utilize cellular data or other data connection to obtain map and route data, which are not part of the GPS or satellite navigation system. 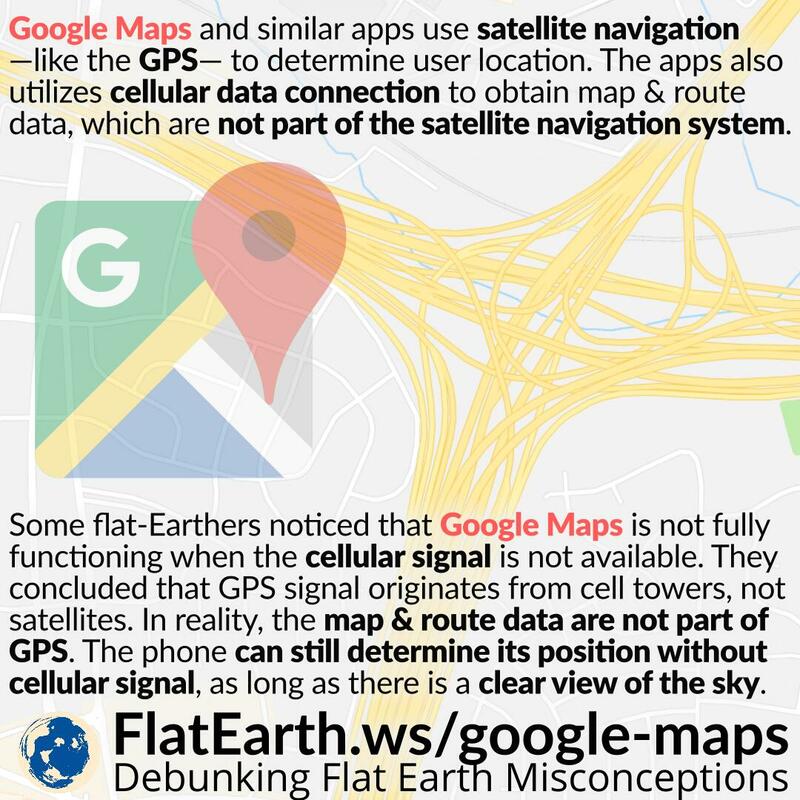 Some flat-Earthers noticed that Google Maps does not fully function when the cellular signal is not available. They concluded that GPS signals are transmitted by cell towers, not satellites. In reality, Google Maps is not GPS. The app uses GPS —and other satnav systems— to determine user location. The maps and route data in the apps are not part of the GPS. GPS is a navigation system that aims to provide location and time information to a GPS receiver anywhere on the Earth, as long as there is an unobstructed line of sight to GPS satellites. The GPS system can only provide its users with their longitude, latitude, altitude and time. GPS is only one of many satellite navigation system. There are others, like GLONASS, Beidou, and Galileo, which work similarly to GPS. Google Maps and other similar apps use GPS to determine user location, but the apps themselves also provide a whole lot of other features. The apps can display maps, show routes and e.g. tell you nearby restaurants and gas stations. These features are external to what the GPS provides. Google Maps obtains this information from their servers and require an active data connection to download the necessary data. It is the reason why Google Maps does not fully function without a good cell signal reception. Without cell signal, GPS itself is still very much usable. To verify, we can use a plain GPS app without all the features provided by a full-blown navigation app like Google Maps. Some example for Android: GPS Status & Toolbox, GPS Test. The ambiguity of the term ‘GPS’ arises because all smartphones today are equipped with GPS. When someone refers to ‘GPS’, they usually mean the app, like Google Maps. In reality, there are more to the apps than just GPS, and GPS itself is not exclusive to smartphones. There are standalone GPS devices which are not in the form of smartphones. Before smartphones exist, practically all GPS devices were standalone.